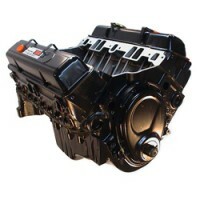 Complete new GM 350 long block engine. Why bother rebuilding a Small Block Chevrolet when it is cheaper to buy a new one! This Chevy engine is all new and incorporates a GM350 4-bolt main block, cast nodular iron crank, forged rods, cast pistons and cast iron 76cc heads. 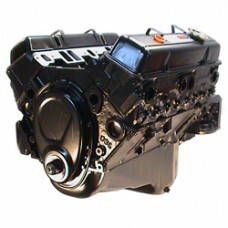 Also includes hydraulic flat tappet cam, timing set, oil pump and pan, pressed rocker set, pushrods and valve covers. This Chevrolet 350 engine when equipped with Edelbrock intake and carburettor produces approx. 250HP. 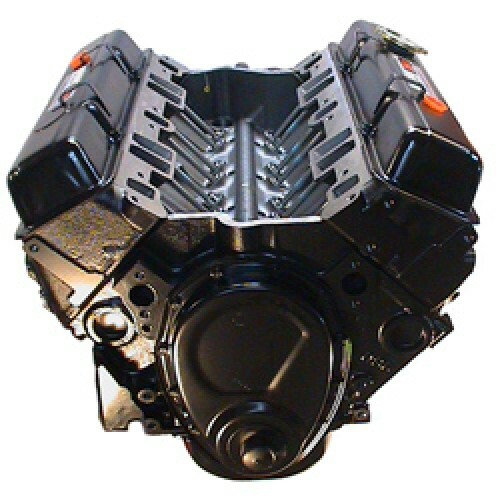 Can also be used to easily and economically build a 350+HP engine by adding Edelbrock heads and a cam kit. Although this is a new engine, it is built to replace Pre 1986 engines and so has two-piece rear main seal and utilises internal balance flywheel and damper. Bore 4.00” x Stroke 3.48”, Compression Approx. 8.5:1, Valve sizes 1.94” Int & 1.50” Exh.